Grapes hang ripes and ready to pick at Heathcote II winery in Australia. Ready to taste the first wines of 2013? While vines are just flowering in Europe and North America, the Southern Hemisphere has picked, crushed and fermented this year's crop. Australian vintners report that the 2012-2013 crop was small, thanks to dry conditions in the east and storms in the west. New Zealand's North Island faced heavy frosts to start the season, while on the South Island, a compressed harvest made for a logistical nightmare. Here's a sneak peek at the upcoming vintage. And check out our reports on South Africa, Argentina and Chile. Analysis: Vintners in South Australia will remember 2013 as one of the earliest and shortest vintages in recent memory. Winemakers are excited with what they picked, reporting good to outstanding quality in both their white and red grapes. “There will be some truly awesome wines from 2013, just not as much of them to share,” said Paul Linder, winemaker at Langmeil in Barossa. A combination of hot weather and below average rainfall in the spring reduced grape yields across the state. John Duval, of his eponymous winery in Barossa Valley, said vintners had to be diligent with their irrigation to protect grapes from withering on the vines. He said yields were down between 30 to 50 percent in Barossa Valley. Cooler growing regions such as Adelaide Hills and Coonawarra in the Limestone Coast avoided the worst of the heat. A heat wave jumpstarted harvest in mid-February, with growers scrambling to pick grapes as sugar levels spiked. The upside to the dry conditions was low disease pressure in the vineyards and a small crop that produced concentrated grapes. “Reds are showing excellent color and flavor, with balanced tannin structure,” said Duval. Winemakers in Eden Valley and Clare Valley reported good natural acidity in their Rieslings, despite the heat. Analysis: Winemakers in Victoria are describing the vintage as short and sharp. The harvest commenced in early February and the majority of vintners were finished picking by the middle of March. “The ripening was early and all of the varietals came on top of each other in a quite unusual fashion,” said Lionel Flutto, viticulturist at Heathcote II in Heathcote. 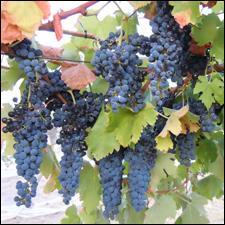 Red varieties such as Shiraz and late-ripening Cabernet Sauvignon were often picked at the same time. The challenge was finding enough space in the wineries for the grapes. After two vintages marked by cool, often wet conditions, 2013 brought warm and dry weather. Winemakers faced little to no disease pressure in their vineyards but had to be careful about getting enough water to the vines. With the smaller crop, winemakers are excited about the quality. “In particular, reds will perform, with Shiraz being the shining star and Cabernet nipping at its heels,” said Matt Fowles at Fowles Wines in Strathbogie Ranges. Harvesting Cabernet Sauvignon in Coonawarra on the Limestone Coast. Analysis: Western Australia dodged the worst of the heat that swept through the rest of the country, enjoying a warm, dry summer with nearly ideal weather during harvest. Spring storms did create some challenges, with wet conditions while vines were flowering. In Margaret River the rain decreased the fruit set for Sémillon and Chardonnay but didn’t affect the red varieties. “[The storms] had a varied effect across the region, with yields generally being down,” said Virginia Willcock, winemaker at Vasse Felix in Margaret River. Picking Chardonnay in the Hunting Hill vineyard for Kumeu River Wines on New Zealand's North Island. Analysis: The North Island’s growing season got off to a cool start, with severe spring frosts reducing yields for some growers and creating sleepless nights for all. “We will have well less than half of our usual crop of Chardonnay, and even less than in 2010 when we were similarly affected by a spring frost,” said Michael Brajkovich of Chardonnay specialist Kumeu River. The rest of the season was uneventful, with some of the warmest and driest conditions on record. “I have already described our Gimblett Gravels and Hawkes Bay harvest as ‘the vintage of a generation,'” said Steve Smith of Craggy Range. "Conditions from flowering throughout the season were nigh on perfect." It was a slightly earlier harvest than normal. Most vintners reported moderately paced picking due to lack of rainfall and low disease pressure. The quality of grapes is high—many winemakers talked of exceptional fruit, with good colors and ripeness, yet still retaining the typical edge of acidity. The Pinot Noirs are showing great concentration and structure. Sauvignon Blanc waits for its trip to the winery in Marlborough. Cold spring turned to dry summer. “The growing season was very dry, approaching drought at some stages, but the upside was very low disease pressure,” said James Healy of Dog Point in Marlborough. A warm summer led to a warm harvest, and that meant that many grapes were ready to be picked at the same time, resulting in an extremely compressed harvest. “We normally pick Sauvignon Blanc over a 22- to 26-day period, but this year it was all picked in 16 days,” said Nautilus winemaker Clive Jones. With all of the fruit ready at the same time, there were hectic days and logistical puzzles to solve. Labor, transportation and machinery were in huge demand. Even if a winemaker had access to everything they needed, they had to find space for all the incoming grapes. “We probably were forced to harvest at about 130 percent of the normal rate. Things like crusher, must-chilling and lees-filtering capacity were put under stress,” said Simon Waghorn of Astrolabe, adding that he felt hurried to pick the grapes before they got riper. A period of heavy rain in the later part of April caught a few winemakers who still had grapes hanging off guard. Most vintners are reporting moderate to good-sized yields. Aromatic whites look strong, slightly riper than 2012. Both Crawford and Waghorn suggested Pinot Gris will be a standout. South Island Pinot Noirs are described as aromatic and floral, with good concentration and structure.